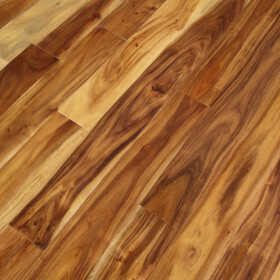 Acacia or Asian walnut, is prized for its durability, varied shades and its innate ability to be finished to a lustrous shine. Herringbone describes a pronounced V-shaped pattern. 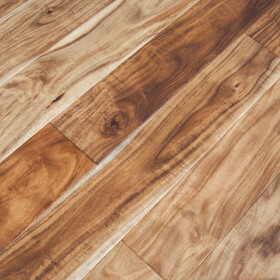 It is, essentially an arrangement of rectangles used to create repetitive patterns in the flooring. 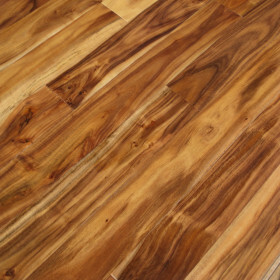 The colors of acacia wood vary from being light brown to a darker brown. 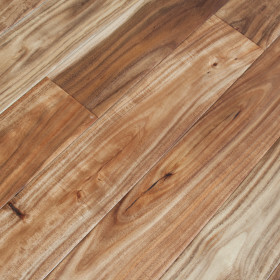 Acacia will have intermittent streaks of red or golden brown creating a striking variance from light to dark in the floor. 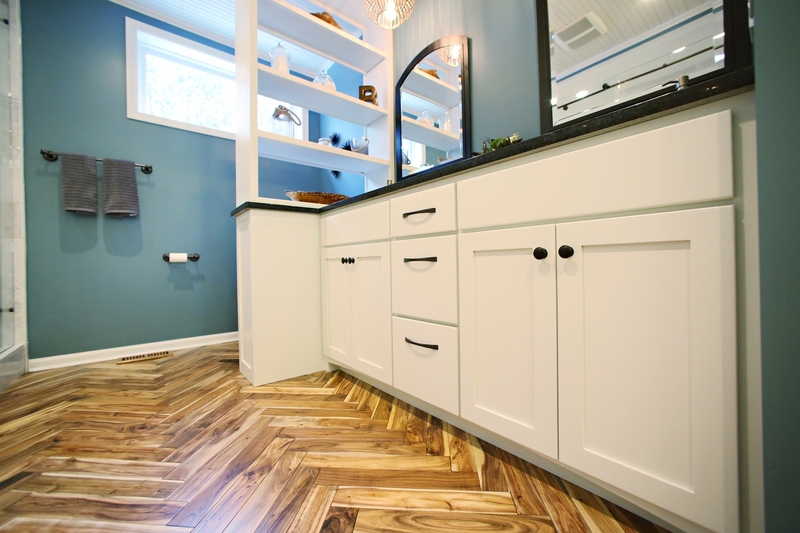 Placing this variance into the configuration of a herringbone pattern makes for a distinct demarcation in design of your floor. 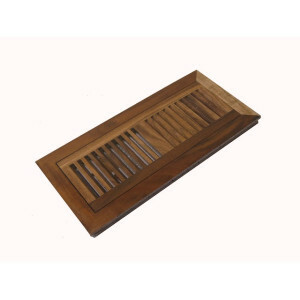 The herringbone design is suitable for large, open designs, but can also be used to designate a hallway or cross section of the floor. 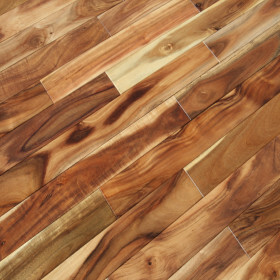 Acacia herringbone is also useful in creating a change from classic hardwood flooring and can visually signify a transition between spaces in the home.